Whether born or thrust into it, poverty takes a toll. Just getting by is a struggle but things really get tough when creditors hound you for a debt you can't pay, target whatever little income or assets you have and even threaten taking away your home and freedom. Not only is Nebraska one of the worst states in the county for low-income debtors according to an April investigation by ProPublica, but a study of recent Douglas County Court debt collection cases by Legal Aid of Nebraska shows that it's hitting Black and Latino households hardest (see related story in this issue). Janet and her pastor husband thought they were comfortably set, looking ahead to retirement in a few years, when he lost his job in a major downsizing at a local medical center and with it the couple's only earned income. Janet. who can't work due to a disability, said things soon went from bad to worse when they had trouble paying off a major purchase they made on credit with a local retailer. The couple paid down a previous credit card debt with the same store, though they still owed some $1,500. Then the creditor upped the pressure by putting a lien on their home. Unable to pay their mortgage, the couple lost their home in a foreclosure. The foreclosure occurred despite working with the lender on a loan modification. One day a sheriff arrived to inform the dumbfounded couple they had 24 hours to vacate. They moved into an apartment. "Forty years of stuff in there," Janet said of giving up their home. Meanwhile, the store pursuing the debt collection refused the couple's entreaties to work out a partial payment plan. Then, to the couple's dismay, legal action resulted in a warrant being issued for Janet's arrest. Janet said, "I was like, How in the world? I think it's a disgrace to society. We've never had anything like this happen to us before and people shouldn't have to live in fear for not being able to pay a bill because of losing a job or getting sick or being incapacitated. They intimidate people to the point where you're afraid to answer the phone or the door or to ever apply for credit again." She contacted Legal Aid of Nebraska (LAN) for advice and an attorney represented her at a court hearing. "Like I told the judge, I don't even know why I'm here, because I offered to pay it and they wouldn't let me. After they put us through all of that, the store's attorney didn't come to court. The judge just said, 'Don't worry about. It's over.' But I have to carry a letter with me in my car should I get pulled over that says the warrant was rescinded." The store never contacted her again. Janet's appalled how far the store pushed things. As she learned from LAN attorneys, her experience is not uncommon. "If the public knew what these creditors are doing, there would be an outcry," she said. "This is working people they're preying on who've had outstanding credit and then something's happened to them. When you ask them to help you work with them and they won't, there should be laws protecting you from that, especially from being threatened to be put in jail. LAN attorney Jen Gaughan, who helped advise Janet during her legal travails, said some clients face arrest when they fail to appear at a court-ordered debtors exam to review income and assets. "Not all creditors ask for it in all situations," Gaughan said, "but it's something that happens." Often, LAN attorney Kate Owen said, clients don't even know they've been ordered to attend a debtors exam or served with an arrest warrant as the law doesn't require personal or actual notice, but only an attempt to serve at someone's last known residence or place of employment. She cited the case of a single mom who missed a debtors exam when notice was left with a colleague at her employer and it never reached her. "The police came to her home and arrested her in front of her kids. She didn't have the $100 for bail to get out of jail, so her dad had to come into town to bail her out." Gaughan said creditors sometimes agree to set aside a debtors exam or arrest warrant. When they don't, she said, "then we have go to court with the client." She said Legal Aid invariably gets exams and warrants set aside or quashed. That's what happened in Janet's case. But that doesn't wipe away the stress it puts people under. Owen said Legal Aid is challenging the constitutionality of a state statute that allows a bench warrant be granted if someone misses a debtors exam. "In theory it's not for owing money, it's for missing a court hearing. Our point is in no other civil or criminal proceeding can you be held in contempt of court without first being offered a reasonable opportunity to explain why you weren't there." Owen said creditors have overly broad leeway in Nebraska to collect. "There's no limit on how many different ways a creditor can target your assets. A bank account can be wiped out while your wages are being garnished. Often the last resort is bankruptcy. To say it's stressful would be an understatement. It's not uncommon for people who come see us to be in tears." She said creditors often overstep their bounds and even violate the law. She recalled a case in which a creditor unlawfully garnished a client's Social Security savings. "I claimed an exemption. She was a little old lady on oxygen and she only owed $10 but it was a lot of money to her." Owen said the judge dismissed the action and cancelled the debt. "Another case we've filed opposes garnishment of a student loan from a bank account, which is exempt." Exemptions are handy, Owen said, "but they only help when you assert them – they are not automatically applied. You have to make that argument. "In another case we're challenging what methods a sheriff used to collect on an execution. We're arguing he created an impression in a reasonable person's mind that the sheriffs department was the agent of a debt collector." Owen said a recent ProPublica study documented "the poorer you are, the more likely you are to be sued multiple times because you lack the funds to pay." She said client debt is "not for frivolous purchases" – it's for medical bills, child care, rent, transportation. Predatory practices clearly target minorities. She said "there is vast, cumulative debt in the most impoverished African-American and Latino areas, adding, "Many individual debts are well under $1,000. But even $100 is a lot to these clients." "We're litigating a lot of cases where a year or two after moving out of a rental unit somebody gets sued for alleged damages. We've been trying some of those cases and I can't say we get down to zero – every once in a while we do – but creditors will offset the security deposit and everybody just walks away." She said the aggressive tactics of creditors send even small accounts out for collection and exploit the situation by bundling accounts. "For a lot of our clients, whether they owe $50 or $500, it's equally unpayable. The more accounts that get bundled together, even though these are distinct debts, it becomes even more overwhelming. It's death by a thousand paper cuts. Most states do not allow such bundling of debt." She said among Legal Aid's "wish list of changes" to current state law is limiting collection filings to a single debt rather than bundling debts together. "That would make it less economically advantageous for creditors to file for some of these really small debts." She said it would also help discourage predatory and nuisance cases if the state imposed higher filing fees. Voices for Children in Nebraska executive director Aubrey Mancuso (see related story in this issue) said there is "an entire industry of financial services – things like Payday lenders, small debt lawsuits, check cashers, pawn shops – that make it even harder for families who are trying to gain any type of financial stability. These companies are profiting off of families in difficult financial situations." Mancuso said, "It's a huge problem. Payday lenders are a good example. Nebraska has one of the highest allowable interest rates in the nation for those types of loans. Small debt lawsuits are another way creditors are making money off of people's poverty. It's big business." Experts advise educating yourself about credit practices before making a purchase or getting a loan. Never borrow, even small amounts, against your paycheck and thus be trapped paying high interest rates. If you feel financially abused or harassed by a creditor, seek legal aid as soon as possible. For Fernando, buying something on eBay was the first time he felt like an American. His sister told him to open a bank account when he was a senior in high school because he needed an account to shop online. It was a simple transaction – routine to the teenagers he grew up with in border towns in South Texas. But for the undocumented immigrant, it was one of many reminders that his status was different. He remembers the Bank of America card with his name embossed on it more than he remembers what he bought. “It legitimizes you,” said Fernando, now an immigration attorney in Fort Worth. He agreed to speak with the Dallas Business Journal under the condition that his actual name not be revealed. 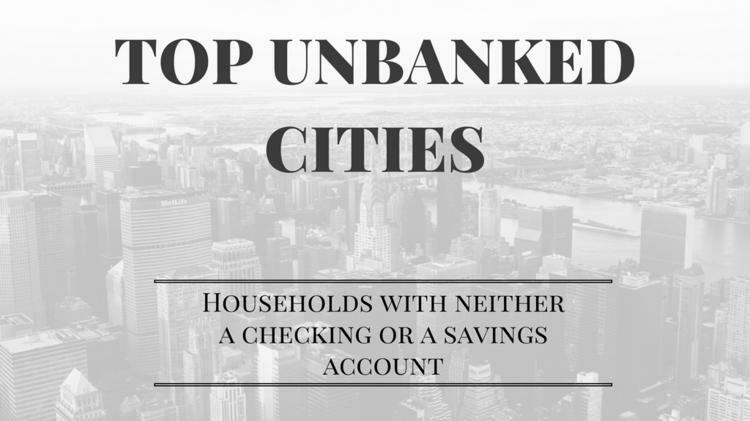 Click the slideshow to see the nation's top unbanked cities and the nation's top underbanked cities. Many undocumented immigrants believe they can’t open banking accounts, fearing the bank will flag their status to law enforcement or that they’ll simply be turned away. Instead, many rely on cash, which leaves them vulnerable to being robbed. They also are preyed upon by payday lenders and other credit services with high fees. What most people don’t know is that banks, especially those in Texas, quietly recruit undocumented Hispanic customers. The banks assure that all a customer needs to open an account is their passport issued by another country or a U.S. tax identification number. Bankers interviewed say they never ask about citizenship status. The industry as a whole is agnostic on the immigration issue that played a central role in the election of Donald Trump as president. Trump will sweep into the White House next month on the promise of building a border wall with Mexico and accelerating deportations of some 11 million undocumented immigrants in the U.S. – with an estimated 1.5 million in Texas alone. Those communities say the powerful banking lobby should stand up for them. As a boy, Leo Lopez translated for his mother when she tried to open an account in Dallas. 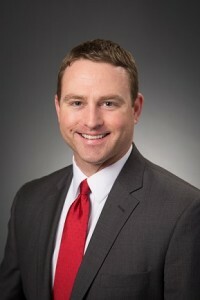 Now he is vice president and bilingual branch manager in the Bank of Texas Dallas office near Farmers Branch. The Hispanic Chamber of Commerce member helps locals who are “unbanked” open accounts. He doesn’t know how many accounts Bank of Texas has opened for undocumented immigrants, as the bank doesn’t ask. But he said about 75 percent of their Hispanic customers opened their accounts using a passport. Lopez confirmed that banks rarely know a customer’s immigration status. They aren’t required to take that information and it’s not often volunteered. But Fernando did tell Bank of America. He said a younger generation of undocumented immigrants, many of them brought here as children, are eager to open bank accounts and build credit. Some banks, he said, even offer mortgages to undocumented immigrants to buy a home here. Bank of America declined to comment for this story and instead directed questions to the American Bankers Association, the industry’s main lobbying arm in Washington, D.C.
“Banks don’t track whether or not someone is legally in the U.S.,” said ABA’s Senior Counsel Rob Rowe. He said the group hasn’t lobbied on the immigration issue and doesn’t plan to do so. Pushing lawmakers for a more progressive stance on immigration may jeopardize their influence over which banking rules will be relaxed. Republicans have pledged to dismantle the 2010 Dodd-Frank law, which was put in place after the banking crisis to make the system safer and prevent future bailouts by taxpayers. Additionally, policymakers haven’t required banks to determine whether their account holders were in the country legally. “It’s something that’s outside the banking industry,” Rowe said. At Bank of Texas’ Dallas office, the firm’s senior vice president and consumer regional manager for DFW East Scott Bishop, spokeswoman Jacquie Donovan and Lopez paused when asked if the bank or the industry as a whole should take a stance on immigration. They declined to answer, but said they welcome undocumented immigrants as clients. In the event that account holders are deported, their funds are not seized under current law, and their debit cards and other services will still work, they said. “Because we’re in that industry of risk, we don’t find it risky to bank folks that are undocumented,” Bishop said. Fernando didn’t watch the election results come in. He went to bed early when his brother texted, “he just won Florida,” referring to Trump’s collection of electoral college votes in the Sunshine State. Fernando’s status in the Deferred Action for Children Arrivals program is now in jeopardy. He was brought to the U.S. when he was 7, and his parents overstayed on their visa. They had owned several furniture stores in Mexico, but when the economy turned south, they moved north. His mother cleaned houses and his father mowed lawns. With the stroke of a pen, Trump could eliminate the DACA program, which has provided a haven for roughly 700,000 immigrants, including Fernando and his brother. The phones in Fernando’s office have been ringing constantly since election night. Many are clients Fernando and his colleagues had lost touch with. They’re now hurriedly calling back, hopeful to move their immigration cases forward. Some are new clients wanting to squeak into the program while it’s still active, but Fernando said they’re not sending in new applications. They don’t want to put the addresses of undocumented immigrants into the system in the event there are raids. It’s unknown what Trump will do. He has indicated there could be mass deportations, but has also signaled that those with a criminal history would be deported first and the rest taken on a case-by-case basis. Many economic experts say allowing immigrants to stay will benefit Texas and local banks. Foreign workers immigrating to the state – legally and illegally – have made up roughly 40 percent of the state’s labor force growth between 1990 and 2010, Federal Reserve Bank of Dallas President Robert Kaplan said in a Nov. 7 speech. Kaplan defended the influx as “substantially beneficial” to the economy and pointed to research that showed immigrant workers are more likely to file patents and are more entrepreneurial with higher rates of self-employment. As the Mexican economy has rebounded, more Mexicans are leaving the U.S. than migrating here, according the Pew Research Center. In total, about 9 percent of the Texas labor force is undocumented. Dallas-based nonprofit Transformance helps undocumented immigrants open banking accounts, making it easier to enter the immigration system. But Transformance CEO Ken Goodgames hesitated to say whether Trump’s immigration policies would hurt the economy or the banking industry. “There is always a possibility that with a new administration the existing policies would change,” he said. Banks are eager to attract more customers as profit margins have shrunk since the financial crisis. About 70 percent of new accounts are opened in banking buildings, though few customers ever go inside a physical location again. This means that banks must still maintain the costly real estate of their branches in order to boost new accounts. Wells Fargo tried to stay profitable by opening fraudulent accounts for existing customers, resulting in a recent $185 million fine, a Justice Department investigation and the resignation of CEO John Stumpf. But there are still new account holders who can be recruited. About 14 percent of residents in the City of Dallas are unbanked, according to a nonprofit project of the Corporation for Enterprise Development. Another 21.7 percent are “underbanked,” meaning those who have a banking account but have resorted to using other financial products such as payday loans. Despite the uncertainty surrounding immigration policy, Fernando has chosen to remain stoic with his clients. He finds comfort in going about his day-to-day duties as any other American would, such as paying his bills with his bank account and keeping up with his credit score. After the election, Fernando was on a conference call with other immigration attorneys. He was told that if his work status was revoked, it could cost him the law license he earned earlier this year. He’d wanted to be a lawyer since before his family moved to the U.S.
After the phone call, he shut the door to his office and cried. What's the minimum documentation you need to open a bank account in Texas? Jon Prior covers finance for the Dallas Business Journal. The financial sector will get a brief sugar high, then crash. During the presidential campaign, President-elect Donald Trump asserted that he would “dismantle” the Dodd-Frank Wall Street Reform and Consumer Protection Act of 2010. His nominee for treasury secretary, Steven Mnuchin, began to speak out against financial reform from the moment his nomination was announced, suggesting that he would “kill” aspects of Dodd-Frank, roll back the law’s Volcker Rule against proprietary trading, and focus solely on regulating FDIC-insured banks. Ending Dodd-Frank would be deeply misguided and likely to recreate the very conditions that led to the 2008 financial crisis, shuttered American businesses, and cost millions of Americans their jobs. The financial sector will get a nice sugar high for a few years, and then crash the economy. But despite these looming consequences, lobbyists have sought to weaken the law for the last six years. Many Republicans in Congress have been attacking Dodd-Frank since its enactment, and have put forward a series of bills to roll it back. Just this month, the House passed legislation to remove most banks over $50 billion in size from the requirement for safety stress testing. Another House bill would block regulators from requiring global capital cushions for big insurers like AIG. Earlier legislation rammed through the House Financial Services Committee by Representative Jeb Hensarling blocked the Financial Stability Oversight Council from designating nonbank firms like Lehman Brothers and AIG for the Federal Reserve’s regulatory supervision. The bill would also eliminate the FDIC’s ability to wind down firms like Lehman or AIG without either a bailout or a crushing blow to the financial system, block the Fed from oversight of critical nodes in the system, weaken the Securities and Exchange Commission, and undermine the Consumer Financial Protection Bureau, among other risky actions. That approach seems to be exactly what Trump has in mind by dismantling Dodd-Frank. In doing so, the president-elect will be making three grave errors: eliminating oversight on all but the biggest, FDIC-insured banks, ending oversight of shadow banking, and gutting the consumer bureau. While cutting back on oversight has been pitched by lobbyists as helping community banks, it has nothing to do with that. The Fed already has a graduated, tailored system of regulation, with increasing stringency, depending on the risk that the firm poses to financial stability, based on its nature, scope, size, scale, concentration, interconnectedness, and other factors. None of these apply to the 95% of banks with under $10 billion in assets, the category commonly described as community banks. The banks that get relief under these Republican-supported bills include foreign banks, credit card banks, trust banks, and many banks of the size and type that made horrific subprime mortgage loans and failed during the financial crisis. While these aren’t the handful of the largest financial firms, they still pose substantial risks to the system. A second big mistake would be to ignore shadow banking. The designation of systemically important, nonbank financial institutions is a cornerstone of the Dodd-Frank Act. The reason for the designation process is that such institutions were not subject to meaningful, consolidated supervision by the Fed at all. Shadow banks such as Lehman Brothers and the insurance conglomerate AIG could operate with more leverage and riskier practices and pose a risk to the financial system. Dodd-Frank established a process for bringing such firms under regulatory oversight. Critics of designation contend that it fosters “too big to fail” by suggesting that firms would be bailed out in a crisis, but the opposite is true. Regulating systemically important firms reduces the risk that such a firm could destabilize the financial system and harm the real economy. It provides for robust supervision, capital requirements, and a mechanism to wind down such a firm in the event of crisis without exposing taxpayers or the real economy to the risks of the firm’s failure. Lastly, we can’t let a Trump administration gut the Consumer Financial Protection Bureau. The bureau has been the target of brutal attacks by lobbyists and ideologues since its founding, but the truth is that the bureau has done a remarkably sound job bringing enforcement actions against abuses like those revealed in the Wells Fargo scandal, writing rules on mortgages and payday loans, and cleaning up bad practices in debt collection, credit reporting, and other areas. Attacks on its structure, budget, director, and authorities are a pretext for weakening consumer protections in general. We can’t afford to develop amnesia about the causes and consequences of the financial crisis, or we’re bound to repeat our past mistakes. Michael S. Barr is a professor of law and public policy at the University of Michigan, nonresident senior fellow at the Center for American Progress, and former assistant treasury secretary for financial institutions. In October, the CFPB issued its first ever Project Catalyst Innovation Report highlighting "innovation insights" by FinTech companies in multiple areas. The CFPB launched the Project Catalyst initiative in November 2012 with the mission of collaborating with financial technology innovators on marketplace developments and creating programs and policies that support "consumer-friendly innovation." The report is noteworthy as it provided insight as to the CFPB's philosophy for regulating FinTech companies following a recent enforcement action. One of the critical issues being debated by the CFPB is how to regulate FinTech companies. In prepared remarks discussing the report at a recent conference, CFPB Director Richard Cordray noted that "Everyone who provides consumers with financial products and services must adhere to the same standards and will be held to the same expectations." This position echoes a recent $3.63 million enforcement action by the CFPB against Flurish, Inc., an online lender doing business as LendUp, for "failing to deliver the promised benefits of its products." LendUp promoted itself as an alternative to traditional payday loans through the "LendUp Ladder," a program pitched to consumers as providing the ability to improve credit scores and obtain more favorable rates over time. However, the CFPB found that many of the products offered by LendUp were not available, that inaccurate information was provided regarding the true cost of the loans and, despite promises that consumers could improve credit scores, the company did not furnish any credit reporting on its loans until more than two years after origination. As part of the consent order, LendUp was required to provide $1.83 million in restitution to impacted customers and a civil penalty of $1.8 million. In the enforcement action, Director Cordray stated that, "The CFPB supports innovation in the FinTech space, but start-ups are just like established companies in that they must treat consumers fairly and comply with the law." Credit Reporting Accuracy The Project Catalyst is placing an emphasis on helping consumers understand negative information on credit reports. The report notes that many FinTech companies are developing applications to allow consumers to "streamline the process for consumers to dispute errors on their credit reports directly." Other companies are offering consumers free credit scores and present hypothetical scenarios for consumers to improve credit scores. Mortgage Servicing Platforms FinTech companies are working to develop more modern platforms to "improve loan servicing and provide more flexibility, scalability, and systems integration capacity." The report notes that many servicers are currently using legacy technology platforms which increase the risk of "data inaccuracies" during servicing transfers. Access to Consumer Financial Data The CFPB remains focused on the ability of companies to access the personal information and financial data of consumers in order to reduce the time spent to verify consumer accounts. This has been met by resistance from financial institutions who want to limit the sharing of consumer data with third parties. Director Cordray commented that the CFPB is "gravely concerned" about the resistance from financial institutions in this area. Cash Flow Management Due to challenges posed by changes in income and expenses, the Project Catalyst has been working with FinTech companies who are developing applications and products to minimize distress. These ideas include: (1) developing services to allow employees to access accrued wages before a payday; (2) allow consumers to "smooth" income by setting aside earnings from above-average pay periods; and (3) deducting a portion of a consumer's wages and applying it to recurring payments. While the first report from the Project Catalyst emphasizes that it wants to engage with FinTech innovators to develop new products and services, the report and recent enforcement action demonstrate that no regulatory leeway will be given for the sake of innovation. The CFPB will hold all companies, regardless of size, to the same regulatory standards. Whether FinTech Companies and the CFPB will be able to meld the goal of evolving technology with strict regulatory standards remains to be seen. Fargo, ND – Today New American Economy has released new research showing that the 10,663 foreign-born residents of the Fargo-Moorhead metro area make significant contributions to the region’s economy through millions of dollars in tax contributions and spending power, and high rates of workforce participation in key local industries. In 2014, foreign-born residents contributed $542.8 million to the metro area’s GDP, including $13.8 million in state and local taxes. This groups also wields $149.4 million in spending power. Foreign-born residents in Fargo tend to have higher levels of educational attainment. In 2014, 27.6% of immigrants in Fargo held at least a bachelor’s degree, compared with 23.6% of the U.S.-born population. About 11.3% of the immigrants held advanced degrees, compared with 5.8% of the U.S.-born population. In fall 2014, 1,597 students enrolled in colleges and universities in the metro area held temporary resident visas. These students supported 343 local jobs and contributed $36.5 million in spending in that academic year. If Fargo retains one half of its international students with a bachelor’s degree or higher after graduation, 373 local jobs will be created within six years, boosting the metro area’s real GDP by $84 million. Because of the role immigrants play in the workforce helping companies keep jobs on U.S. soil, it’s estimated that in 2014, the 10,663 immigrants and refugees living in Fargo helped create or preserve 490 local manufacturing jobs that would have otherwise vanished or moved elsewhere. With the release of this report, the Fargo Human Relations Commission is announcing the commencement of a process that will engage community leaders in an inclusive discussion of what the City of Fargo can do to ensure that all community members are welcomed and encouraged to succeed. New American Economy (NAE) brings together more than 500 Republican, Democratic and Independent mayors and business leaders who support immigration reforms that will help create jobs for Americans today. NAE members include mayors of more than 35 million people nationwide and business leaders of companies that generate more than $1.5 trillion and employ more than 4 million people across all sectors of the economy, from Agriculture to Aerospace, Hospitality to High Tech and Media to Manufacturing. NAE members understand that immigration is essential to maintaining the productive, diverse and flexible workforce that America needs to ensure prosperity over the coming generations. Learn more at www.RenewOurEconomy.org. If you want to get more involved, you can join the Network as a General Member to stay informed and find out how to engage in learning and advocacy opportunities. CFED staff hope you can help contribute to even more success in 2017 and beyond! Protecting our most vulnerable from debt is an act of mercy. Pope Francis designated 2016 as the Jubilee Year of Mercy, urging the church to move the alleviation of poverty to the heart of our efforts with renewed zeal. In response, the bishops of Kansas, along with the staff of the Kansas Catholic Conference, undertook a careful survey of the more pressing social issues of our state. We concluded that among the structural evils affecting the poor, predatory lending—also known as payday lending—stands out as especially cruel. Like a cancerous tumor, it has grown swiftly, and it is dehumanizing to its victims—all while creating barely a ripple of public interest or concern. To understand how we got to this point, first recall that from the beginnings of civilization, there have been teachings and laws against usury. Abusing the poor by lending money to those in crisis at astonishingly high interest rates is a practice that has been restricted or condemned by every civilization. Such behavior was rightly recognized as destructive and corrosive for communities and society. Moreover, from biblical times, one of the hallmarks of a jubilee year has been the cancellation of debts that were beyond the ability of the poor to pay. Liberation from the psychological and material “prison” of indebtedness is the perfect metaphor for God’s mercy. Even given our nation’s secular history, legislation preventing usury was a natural part of our legal system until very recently. It was only in the 1990s that subtle changes in the law quietly and quickly eroded legal protection from usury. The result is a billion-dollar industry now advertised as friendly, safe and legitimate; indeed, it is actually presented as an altruistic financial service. The fact is that nothing could be further from the truth. So what is the truth? Here are the facts. Payday lenders take advantage of a state of desperation experienced by those in dire financial circumstances. It is this sense of crisis that causes those (often with little financial understanding and few other options) to initiate an unseen cycle of debt from which it quickly becomes virtually impossible to escape. In 1995, there were 37 payday loan entities in Kansas; by 2014, this number had grown to 347. Sadly, Kansas has one of the highest payday loan use rates in the country: 8 percent of the adult population. This means that 175,000 of our family, friends and neighbors are ensnared by payday debt. Unlike more mainstream and regulated financial products (like loans from banks or savings and loan institutions), most payday loans provide scant consumer protection. The average loan is $300 and must be repaid within two weeks, when the borrower receives his or her next paycheck. The fees charged for the loan are equivalent to an annual percentage rate of over 300 percent. More than 80 percent of loans cannot be repaid within this time period. The result is typically a loan that ends up with doubled or tripled fees. The initial sum constitutes more than a third of the average borrower’s disposable income, leaving even less money to pay for basic human needs such as food, housing, transportation to the place of employment and utilities. Who is most at risk? No one is more vulnerable to the catastrophic consequences of “ballooning” fees than those who live on fixed incomes or who have been designated by social services agencies as highly at risk and unable to secure additional income because of advanced age, disability or some other critical circumstance. In 2014 there were 1,006,388 payday loans made to Kansans, totaling almost $392 million. Based on national averages, tens of thousands of these loans were made to Kansans who earn less than $20,000 per year. Roughly 30,000 of the poorest borrowers depend upon Temporary Assistance for Needy Families, disability benefits or Social Security as a major or even the primary source of income. What this means is that a substantial number of our Kansas tax dollars are being funneled through the poor and into the pockets of the payday loan industry! Moreover, 53 Advance America outlets in the state of Kansas alone are owned by Salinas Pliego, a Mexican billionaire. Not only are Kansas tax dollars being funneled through the poor and into the pockets of the payday loan industry, but a significant amount is going to a billionaire in a foreign country. More disturbing is that our poorest neighbors and co-workers, who legitimately depend upon every penny of public assistance to care for their children or sick family members, would have been required to pay an estimated $10 million in interest and fees on those loans made in 2014. Each borrower paid an average of $325. As the yearly limit for TANF is $1,300, nearly one-fourth of this crucial, fixed income would be required just to service a loan. While our research focused on the state of Kansas, it is worth noting that 14 states and the District of Columbia have outlawed predatory (payday) lending. The New Economy Project of New York estimates that these laws have saved $3.5 billion annually that payday lenders would otherwise siphon in fees. It is also worth noting that the federal government has imposed an annual interest rate cap of 36 percent for military personnel and their families, after concluding that predatory lending was harming them to the point of undermining military readiness. The same protection should be given to all U.S. citizens, but the predatory loan industry’s lobby is powerful, and legislation is often gutted of any real power to protect the vulnerable. In Kansas, for example, it is illegal for a borrower to take out multiple, simultaneous payday loans, but with no structure in place to track payday loans, this law is entirely ignored. This already catastrophic situation is compounded by the ease with which predatory lenders now offer their services over the internet. And there is little relief from the federal regulatory agencies tasked with supervising the industry. This May, the Consumer Financial Protection Bureau published preliminary new regulations of the industry, but they have numerous deficiencies, particularly concerning the verification of a customer’s ability to repay loans while affording household necessities. The Catholic dioceses in Kansas are taking steps to alleviate some of the damage caused by this structural evil. Catholic Charities of the Diocese of Salina and the Archdiocese of Kansas City in Kansas have initiated programs that provide financial mentoring for those who have become ensnared in predatory lending. These programs help victims to transfer predatory loans to legitimate banks and savings and loan institutions; the new loans, with drastically lower interest rates, are backed by Catholic Charities. Those previously trapped in predatory loans now have a realistic possibility of becoming debt-free. But we have hit two roadblocks. The first is that we obviously do not have the assets to back an unlimited number of these crippling loans. While making a difference, we can never alleviate so massive a structural evil on our own. The second roadblock, which was not anticipated, is the challenge of actually paying off the balance of a payday loan. The director of Catholic Charities in Kansas City in Kansas has spent hours struggling to pay off loans in person, only to encounter resistance from the payday lenders. When staff members attempted to handle these matters over the phone, they were repeatedly misdirected, placed on hold or given what was determined later to be inaccurate loan balance amounts. The industry seems to make every effort to prevent the loans from being paid in full. It’s how they make their money. If you’re asking yourself, “What can I do?” my response is to look again to the words of Pope Francis, who asks us to confront and to touch poverty. To confront this situation begins with resisting the temptation to turn our eyes away from the suffering of our neighbors, or shrugging it off as the result of financial irresponsibility that has “nothing to do with me.” The predatory lending industry very much wants us to look the other way—not to notice Lazarus at the gate. But confronting poverty like this begins with shining a light upon it. Then there are many ways to touch this particular poverty and to take practical steps to alleviate it. One is for faithful Americans to call upon national and state legislators to initiate true reforms providing the same consumer protections afforded to those who use banks and savings and loan institutions. We must ask for a special focus on those who are already considered particularly vulnerable to the false security advertised by predatory lenders on virtually every street, but primarily advertised in our poorest neighborhoods. In doing so you will be taking part in our Year of Mercy effort to fulfill Pope Francis’ request that we take practical steps to alleviate the unjust poverty that literally surrounds us. Surely this corporal and spiritual work of mercy is a perfect participation in this Holy Year of Mercy. What a fitting conclusion it would be if we could initiate the liberation of our poorest neighbors from this cruel shackle of crushing debt. Most Rev. Edward J. Weisenburger is the bishop of Salina, Kan.
Stephen K. Reeves is the advocacy coordinator for the Cooperative Baptist Fellowship. Throughout most of our history, payday and auto-title lenders were called loan sharks and were operating on the wrong side of the law. Such exploitation of the vulnerable was understood as immoral and considered far outside legitimate business practices. Only since the 1990s have these predatory lenders found ways to evade or amend state usury laws and offer loans at rates of 400% APR and above. During this period, the industry has ballooned to become a multi-billion-dollar a year business with more than 16,000 storefronts nationwide. But for as long as these institutions have been in operation, in states across the country, people of faith and community activists have been raising the alarm, calling for reform and seeking a return to traditional usury laws. Perhaps no other issue today epitomizes both the worst and best of our current political system. According to countless observers, studies and reports, this industry is not built upon expensive, emergency small-dollar, short-term loans given to risky borrowers. Instead, the heart of the payday business model is creating intentional debt-traps which profit most when their customers fail. A large percentage of borrowers end up in a cycle of debt by paying fees and interest that only buys more time to pay a lump sum, never reducing what they owe. Others pay off the loan only to realize the resulting hole in their budget leaves it impossible to make it to the next payday without another loan. In fact, according to a nationwide study of 15 million transactions by the Consumer Financial Protection Bureau, 75% of all fees generated from these loans come from the 45% of borrowers who end up in 11 or more loans in a 12 month period. Lenders and the elected officials that defend these practices represent the worst of our current political climate. They often point out that borrowers sign a contract so lenders are due whatever fees and interest rate has been agreed to. By not considering the undue leverage a lender has over a desperate borrower, such a position declares the free market as the ultimate arbiter of morality. This unrestrained capitalism — unencumbered by moral considerations — inevitably leads to a number of unacceptable results; child labor being a prime example. Similar thinking on Wall Street led to the Great Recession of 2008. The payday lending industry takes advantage of fellow citizens by setting up a system where borrower failure leads to lender success and profit. Neighbors at the end of their rope are nothing more that potential profit. Add on top of that the corrupting influence of industry money and it is a perfect demonstration of the worst in our political system. Generous political contributions — to politicians from both parties — and millions of dollars spent on lobbyists at the state and national levels often effectively overwhelm the voice of those calling for reform and borrowers who are already politically marginalized. In another sense, the fight to reform this industry represents the best of our political potential. Champions for change, particularly at the state level, have shown incredible and rare bipartisan cooperation. This has been the case in Alabama, Kentucky and Arizona, among others. In Texas, ultra-conservative Tom Craddick, the Republican former Speaker of the House from Midland, teamed up with liberal heroine, former Senator Wendy Davis to push for reform. Ten years ago, in our nation’s capital, the bipartisan Military Lending Act (MLA) was signed into law by President George W. Bush. The MLA limited the interest rate for payday and auto-title loans to 36% APR to active duty members of the military and their families. Reform efforts at the state and federal levels have resulted in broad coalitions spanning typical ideological and theological lines. These have included not only consumer rights, legal aid and civil rights groups, but social service providers and a broad swath of the faith community. In 2015, a new coalition called Faith for Just Lending was launched to support national reform, with a large and diverse list of members including the Cooperative Baptist Fellowship, The Ethics and Religious Liberty Commission of the Southern Baptist Convention, U.S. Conference of Catholic Bishops, National Association of Evangelicals, PICO and the National Baptist Convention, USA, among others. Banding together to oppose exploitation of the financially vulnerable certainly represents the best of what active and faithful public witness can look like. At the federal level the fight for fair and responsible lending practices led to the passage of Dodd-Frank and the creation of the Consumer Financial Protections Bureau (CFPB). This new, independent consumer watchdog — insulated from many of the corrupting elements of the campaign and lobby dollars — was given specific authority to reign in the abuses of payday and auto title lenders, and they’ve proposed a new rule to do just that. The aim of the rule is to insure lenders are not setting borrowers up to fail and instead are making efforts to assess a borrower’s ability to repay without getting caught paying endless fees to extend the loan, or falling into an trap of repeated loans. While the proposal goes a long way to improving the situation for borrowers in states with lax laws, for advocates working for decades for reform the rule is not strong enough. During the recent public comment period that concluded October 7, it is estimated that the CFPB received more than one million comments. Thousands of comments from people of faith all over the country and across the political and theological spectrum were among those voices speaking out. While the work and debate on predatory lending and the ultimate fate of the CFPB continues, a united front of passionate faith leaders engaging in advocacy on behalf of some of the most financially vulnerable neighbors exemplifies a positive development in the midst of troubled times. By broadening the list of “moral” concerns and taking on some of the worst elements of the system, people of faith represent some of the best. Stephen K. Reeves serves as the associate coordinator for partnerships and advocate for the Cooperative Baptist Fellowship. Learn more about CBF’s advocacy efforts at www.cbf.net/advocacy. CBF is a Christian Network that helps people put their faith to practice through ministry eff­orts, global missions and a broad community of support. Learn more at www.cbf.net. Thank you for joining us on this call. The Consumer Financial Protection Bureau today has finalized a new rule providing strong federal consumer protections for prepaid account users. Prepaid accounts are among the fastest growing consumer financial products in the United States. One common form is the “general purpose reloadable” card, easily available at any number of stores or online. Consumers can load money onto these cards and use them for everyday purchases, just as they do with a bank account and a debit card. Prepaid accounts may also be loaded with funds by a third party, such as an employer. The amount consumers put on general purpose reloadable cards grew from less than $1 billion in 2003 to nearly $65 billion in 2012. And the total value loaded onto them is expected to nearly double to $112 billion by 2018. These accounts can be used to make payments, store funds, withdraw cash at ATMs, receive direct deposits, or send money to others. This market also includes a growing number of mobile or electronic prepaid accounts, such as PayPal or Google Wallet, which can also be used for a wide range of transactions. Before today, however, many of these products lacked strong consumer protections under federal law. Our new rule closes loopholes and protects prepaid consumers when they swipe their card, shop online, or scan their smartphone. Among the key new requirements that financial institutions must meet are these: (1) they must limit consumer losses when funds are stolen or cards are lost; (2) they must investigate and resolve errors that occur; and (3) they must give consumers free and easy access to their account information. The Bureau also has finalized new “Know Before You Owe” disclosures for prepaid accounts that give consumers the clear information they need, up front, about the fees they can be charged and other key details. In addition to these requirements governing prepaid accounts, financial institutions must offer protections similar to those for credit cards if they allow a prepaid account to be used to access certain credit extended by the institution, its affiliates, or its business partners. These protections would apply when a prepaid card can be used to cover a transaction even though the account lacks sufficient funds, with certain exceptions. The new rule applies to traditional prepaid cards, as well as mobile wallets, person-to-person payment products, and other electronic accounts that can store funds. The rule also covers: payroll cards; student financial aid disbursement cards; tax refund cards; and certain federal, state, and local government benefit cards, such as those used to distribute social security benefits and unemployment insurance. Many of these important protections stem from the Electronic Fund Transfer Act, and they are intended to be similar to those for checking account consumers. For instance, error resolution rights will now be similar for both types of accounts. If consumers are hit with what they believe are unauthorized or fraudulent charges, their financial institution must investigate and resolve these incidents in a timely way. Where it turns out to be appropriate, they must restore the missing funds. Consumers will also now generally have limited liability for any withdrawals, purchases, or other transactions made on a lost or stolen prepaid card. The new disclosures specified in the rule will give consumers easy-to-understand information about prepaid accounts right up front. Currently, some information is hard to find online or is not revealed until you open the packaging, which makes it hard to comparison shop. So the new rule sets an industry-wide standard on fee disclosures for prepaid accounts. This will simplify, organize, and present key information consistently so people can easily understand and act on it. This is much like the approach we have taken with “Know Before You Owe” disclosure forms for mortgages. A separate part of the rule provides strong credit-related protections that stem from the Truth in Lending Act. These protections are for consumers who want the option to access credit in the course of conducting transactions with their prepaid cards so that they can spend more money than they have in the prepaid account. In situations where prepaid users are accessing credit within a transaction that is offered by the issuer, its affiliate, or its business partner, they must receive protections similar to those afforded to credit card users under federal law. These protections include underwriting requirements, detailed periodic statements, limitations on late fees and charges, and restrictions on the amount of fees that can be imposed in the first year that the credit is extended. To further separate prepaid accounts and any credit feature that is offered, companies must observe a 30-day waiting period before offering such credit to newly registered prepaid consumers. The new prepaid rule will generally apply to prepaid accounts starting in October 2017. To make it easier to comparison shop among different products, prepaid account issuers must publicly post agreements for accounts they offer to the general public on their websites. They must also generally submit all their agreements to the Bureau, for posting on our website, starting in October 2018. These important new protections fill gaps in the law for consumers. The rapidly growing ranks of prepaid users deserve a safe place to store their money and a practical way to carry out their financial transactions. And though many prepaid companies already offer some of these same protections to their customers, it is vital for all consumers to have the settled assurance that these protections are now the law of the land. Thank you.